When I say exile, I only think of the word life. 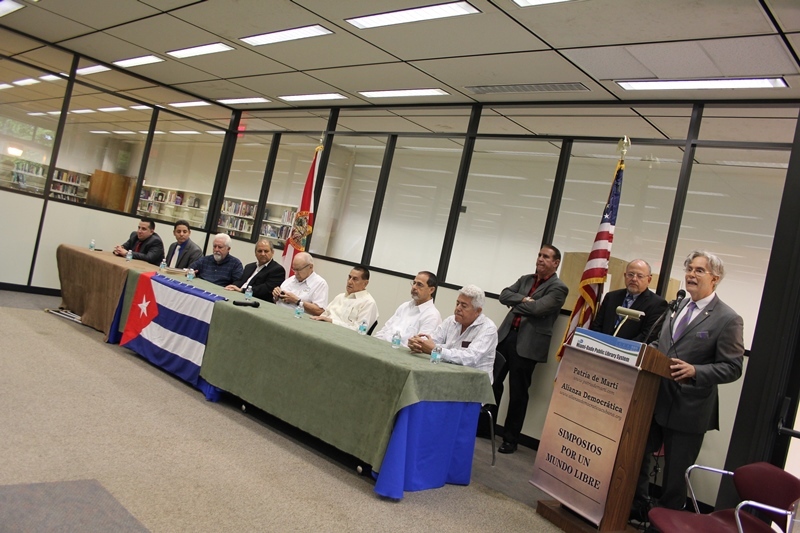 That was what happened to me at the meeting “Fight for Liberation against Castro-communism,” which the writer Julio M. Shiling generously coordinated and which was held at the West Dade Regional Library of Coral Way, Miami, last July 10. 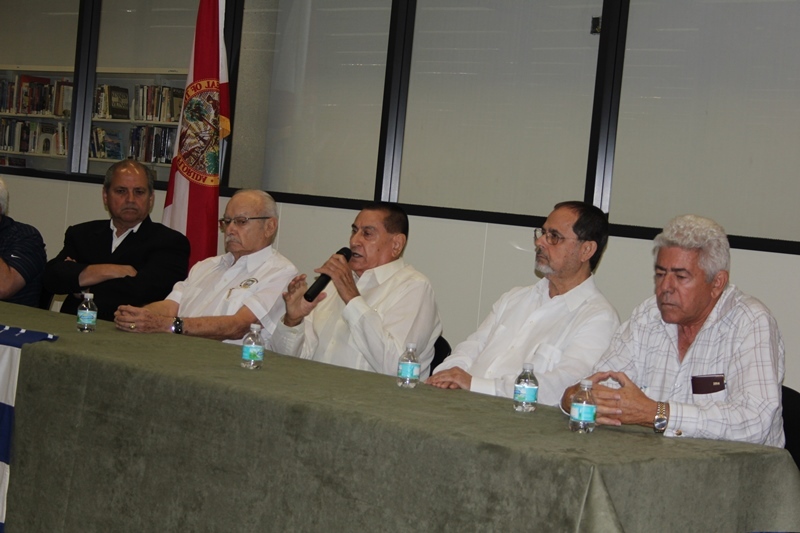 Attending the discussion were no more and no less than the well-known former political prisoners Angel de Fana, Agapito “El Guapo” Rivera, Jorge Gutierrez “El Sherif” and others who presented an overview of the insurrectional struggle from 1959 to the present. De Fana’s words and his hopes for a future Cuba moved me. Twenty years in jail did not seem to have put a dent in the energy of this man who confronted the torture and prison horror of the Castro regime. “We must fight, not for the Cuba that we lost but for the one that awaits us ahead,” I heard him say. Agapito, a peasant known for having fought in the central plains of the island against the militias and formal army, spoke of the bravery of those who accompanied him in that feat (there is no other name for this action). 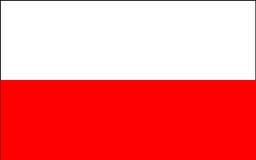 The loss of 11 relatives has not made him a resentful man, although pain emerges with each word for a country that could not be. “No one knows the pain that is felt on learning of the death of the youngest of the brothers that you have taken to war,” says the man who earned the nickname “Handsome” in the prisons where they tried to break him for the 25 long years that he spent without tasting freedom. His liberation in 1988 must have been a relief for his jailers, according to the anecdotes that are told by those who shared galley, hallway and punishment cells with Agapito. We live likewise through the story by Jorge Gutierrez, who landed in one of the infilitration teams days before the Cuban expedition in the Bay of Pigs. The loss of friends that had sent him off days before, the bitter flavor of the disappointment of promised help that never arrived, were related in detail by Gutierrez with a dynamic that left no room for doubts. 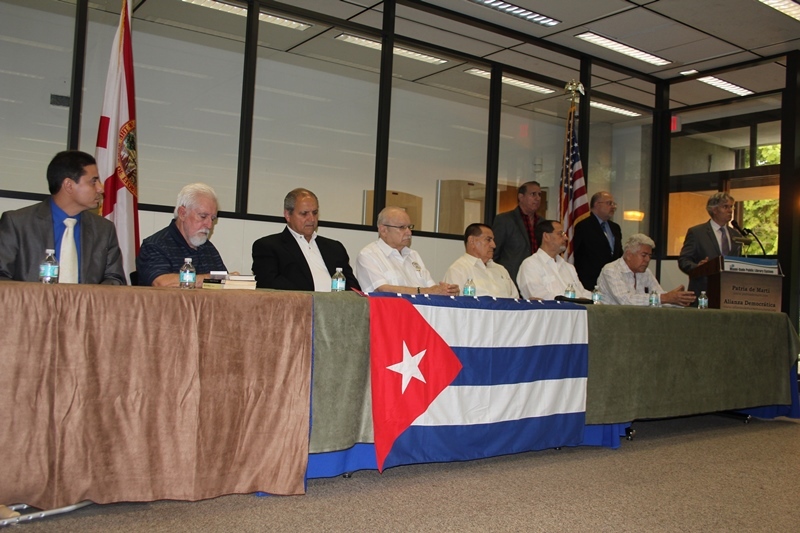 Roberto Luque Escalona like Normando Hernandez related experiences of what is known as the peaceful resistance struggle, which although it has its detractors on both sides of the island, gave rise to one of the samples of respect that Cuba deserves. Those who preceded Luque and Hernandez recognized the co-existence of both methods without sidestepping one or the other. Luque as well as Hernandez explored anecdotes that illustrated the advocacy of human rights, the confrontation of a more sophisticated military, which although assisted by Moscow, since its beginning was refining methods of repression from physical to psychological torture: to the point that at the beginning of 1980 many countries ignored what was happening on Dr. Castro’s island. So far the majority of nations ignore the lack of liberty in Cuba. It has been a good opportunity, a landscape portrait of thousands of Cubans who do not fit in a single photo. Thanks to the labor of Shiling and his insistence on learning more of the untold history of the resistance against communism in Cuba.